Junior co-captain Duncan Rheingans-Yoo lets out an exhilarating yell during this weekend's bout with NYU. After a strong performance at the St. John's Invitational in Queens, N.Y., Harvard fencing traveled back home to take on NYU. With a dominating performance from both No. 2 men’s fencing and No.7 women’s fencing, the Crimson marked another tally in the win column. Dating back to December, the men’s side has won eight out of its last ten bouts while the women’s has come away with 10 out of its last 13. The No. 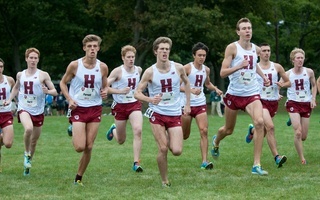 2 Harvard men’s team got off to fiery start against NYU, racking up multiple early victories against its visiting opponents at the Malkin Athletic Center. The Crimson continued to sustain that initial fire and eventually beat out NYU with a score of 23 to 4. 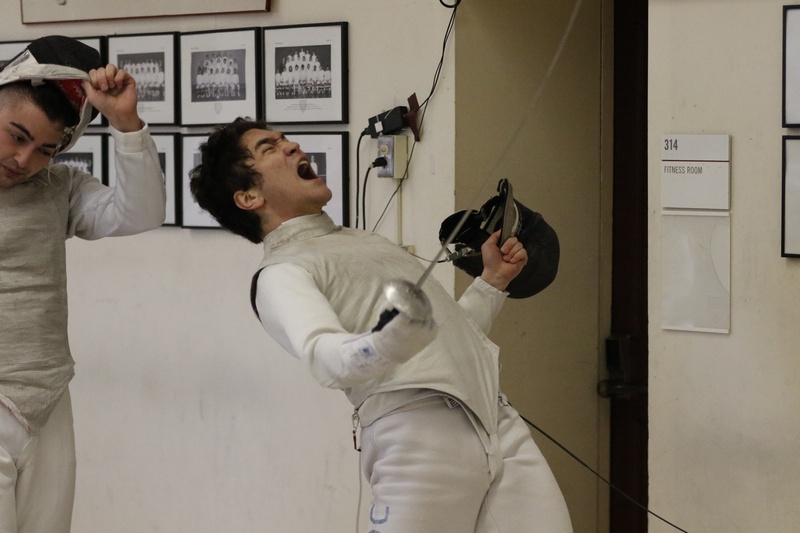 Harvard’s dominance was in part lead by the men’s foil squad consisting of sophomore Geoffrey Tourette, junior co-captain Duncan Rheingans-Yoo, junior George Haglund, and junior Matt Branman. The foil squad went a perfect 9-0, with Tourette netting the highest team touch differential of the day of +11 and moving to 14-0 on the season. The No. 7 Harvard women’s team showcased a commanding performance against NYU, with junior and foil fencer Natalie Yang netting a team high touch differential of +12. The women’s epee squad — consisting of senior and co-captain Shawn Wallace, sophomore Cindy Gao, sophomore Saanchi Kukadia, senior Sharon Ra, and freshman Catherine Beddingfield — help lead the Crimson to victory with a perfect 9-0. Home field advantage also played a key part in both victories, with the Harvard crowd providing a large wave of support throughout the entire competition. Both teams head to New Haven, CT., next weekend for the Ivy League Championship where its main competition will likely be Columbia, ranked nationally inside the top-four for both men’s and women’s. 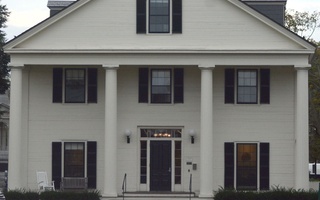 — Staff writer Mohamed Ahmed can be reached at mohamed.ahmed@thecrimson.com. Harvard fencing lunged, parried, and riposted its way to successful finishes in both the men’s and women’s divisions during this weekend’s preseason-starting Penn State Open.